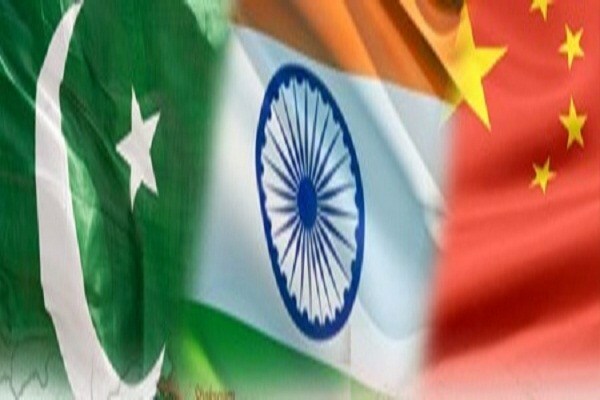 Beijing: India and Pakistan should quickly turn the page following the Pulwama terror attack and convert the present tensions into opportunity for long term improvement in their relations, Chinese Foreign Minister Wang Yi said on Friday. Wang also said post-Wuhan summit between President Xi Jinping and Prime Minister Narendra Modi, China wants to develop closer ties with India and forge ahead like the “Yangtze and Ganges” rivers despite Beijing’s all weather ties with Pakistan. Tensions between India and Pakistan escalated after a suicide bomber of Pakistan-based Jaish-e-Mohammed (JeM) killed 40 CRPF personnel in Jammu and Kashmir’s Pulwama district in February 14. “China hopes Pakistan and India will transform the crisis into opportunity and meet each other halfway,” Wang said. He was replying to questions on the present India-Pakistan tensions following the Pulwama terror attack and how China plans to carry forward the spirit of last year’s Wuhan summit between Prime Minister and President Xi. “We advise both the parties to quickly turn the page and seek fundamental, long term improvement in their relations. When confrontation gives way to dialogue and disagreement are settled, we can create a better future through cooperation,” he said. Recent events focussed international attention on the India-Pakistan relations, he said stating that China played a constructive role to resolve the tensions between the two neighbours. “China has stressed from the beginning the need to exercise restraint prevent an escalation, find out what has happened and resolve the matter through dialogue,” Wang said adding that Beijing tried to play a mediatory role. “In the meantime, country’s sovereignty and territorial integrity should fully respected. China followed these principle in its mediation and played a constructive role in defusing the tension , he said. China recently dispatched its Vice Foreign Minister Kong Kong Xuanyou to Pakistan where he held talks with Prime Minister Imran Khan, Army Chief Gen Qamar Javed Bajwa, Foreign Minister Shah Mahmood Qureshi, besides Foreign Secretary Tehmina Janjua, on the India-Pakistan tensions. His visit coincides with the US, the UK and French application in the 1267 counter terrorism committee of the UNSC to declare JeM chief Masood Azhar as a global terrorist. If listed by the committee, Azhar would face a global travel ban and asset freeze. the JeM has already been banned by the UN.